The goal of this initial glossary of gasification terms is to help individuals, communities, and companies understand this amazing technology by demystifying the related jargon. In 1514, mathematician and astronomer Copernicus presented a new model of the universe. The sun replaced the earth as the center of the universe. Imagine trying to grasp this new model with limited information. But if Copernicus took you inside his observatory and showed you the calculations, you might have left the angry mob outside his house and joined his team. Here in the gasification industry, we believe in a new model for waste management and clean energy. And we want people to know about it. This blog breaks down the most common terms you might not know yet. Our goal is to help communities and companies understand this amazing technology by demystifying the related jargon. Overall, it’s a little bit of science, a little bit of common sense, and a lot of good. Here’s a look behind the scenes at three categories and definitions of major terms in each. Industry Overview Terms: Definitions of terms that can help you understand the industry – what it is and what it does. 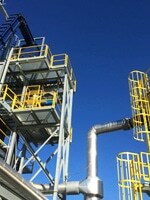 Gasification Process Terms: Definitions of terms that cover the actual process of gasification. Environmental Outcome Terms: Definitions of terms that define how gasification impacts the environment. Waste to Energy (WtE) – The process of converting waste and other “low value” biological materials into energy. Gasification – A process that uses a feedstock, often municipal or industrial waste, for a thermo chemical conversion of waste in high heat. “Thermochemical” comes from thermal, or heat, and chemical, which means a chemical reaction is taking place. This is done is a low oxygen environment and causes material breakdown at the molecular level. Once the molecular breakdown occurs, the gasification process recombines them to form a syngas, a gas similar to natural gas. 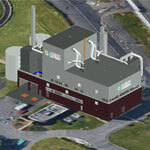 Gasification is not incineration (see incineration below). Incineration – Waste treatment process that combusts (i.e. burns) organic materials. Generally, incineration requires high heat, produces high heat, and is considered “thermal treatment.” Incineration is different from gasification. Biomass – Organic matter used as a fuel or source of energy (in industry terms). Biomass is biologically produced matter made up of carbon, hydrogen, and oxygen. Biomass is the feedstock for gasification (see feedstock below). Synthetic fuel gas (Syngas) – Biomass is converted into syngas during gasification. The process uses small amounts of air and heat to break feedstock molecules apart and recombines them, which produces syngas. Syngas burns cleanly, similar to natural gas, and has many uses. Clean energy – “Clean” means different things to different people. In short, clean energy comes from resources that can be replenished quickly and has a lower emissions profile. The US Environmental Protection Agency says that “clean energy” includes renewable energy, energy efficiency, and efficient combined heat and power. According to the Energy Information Administration, “Renewable energy refers to resources that are replenished in a relatively short period of time.” Renewable energy sources include hydropower, wood biomass (used to generate heat and electricity), alternative biomass fuels (such as ethanol and biodiesel), waste, geothermal, wind, and solar. 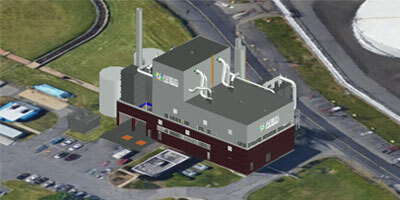 Fluidized bed gasifier – A fluidized bed gasifier is a technology that converts carbon-containing biosolids into syngas. The gasifier introduces biosolids to an oxygen-deprived environment and controlled temperature. A fluidized medium is then used to begin the reaction. In this case, air is the fluidized medium. The air is preheated with natural gas and, as it flows through sand, it bubbles. The organic biosolid feedstock is introduced when the bubbling occurs and operating temperature is achieved. A reaction occurs that converts the waste material into a syngas. 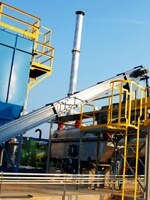 Feedstock – Energy-containing biomass material (see biomass above) used to feed the gasification / waste-to-energy process. Scrap pallets, industrial packing, milling waste wood, cardboard & paper, construction wood waste. Reciprocating electrical generators – These generators have two main components: An internal combustion engine that burns diesel, propane, natural gas, or gasoline and an electrical generator that converts the shaft power of the engine into electricity. These generators can use biomass-derived fuel gas, like syngas, if the gas is clean enough. Aries Clean Energy has patented a new approach to remove the tar residue found in traditional biomass fuel so that it runs generators more efficient. 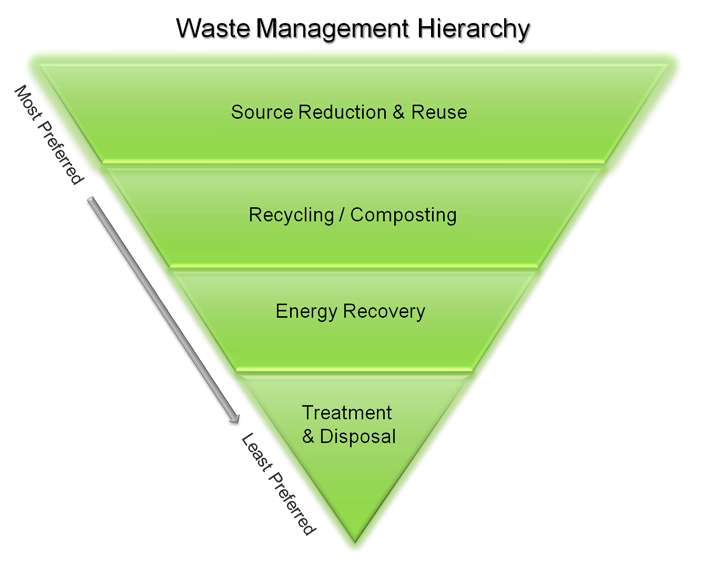 Waste management hierarchy – An order of preferred treatment of waste, mainly considering environmental and economic impacts. Zero landfill goals – Many companies have achieved what is called Zero Waste to Landfill, meaning their facility sends no waste to landfills. 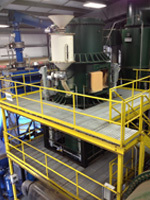 The waste is used in other beneficial processes, like recycling or waste-to-energy. Many more companies have set zero landfill goals to both reduce costs and reduce environmental footprint. Ash – Byproduct of incineration, or burning, sometimes used to cover landfills, but must be carefully controlled to manage leaching of harmful chemicals. Biochar – At Aries Clean Energy, 95% of the input waste is converted into syngas, 5% becomes biochar, a high-carbon solid like charcoal. Biochar can be used again, unlike ash which is landfilled. 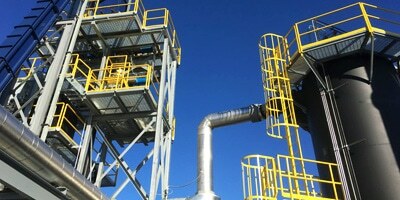 Carbon Dioxide – CO2, a greenhouse gas, that is much more easily captured in the gasification process, thus producing a lower environmental footprint. Landfill Avoidance – The amount of waste that can be avoided from entering into a landfill, usually by using it as WtE fuel or feedstock and converting it into electricity or syngas. Landfill Tipping Fees – The cost to dump waste at a landfill. The national average is around $50/ ton (with the most expensive states over $70/ ton). Tipping fees have increased every year for over 20 years and are often significant expenses for businesses and municipalities, which is why WtE can reduce tipping fees. 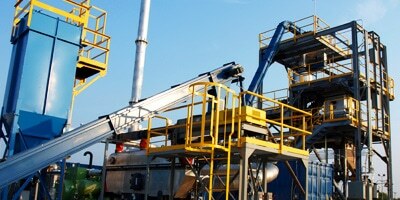 Gasification is an emerging and important piece of the waste management puzzle. As mentioned above, the world currently generates 4 billion tons of all types of waste. In order to keep our economies thriving and the planet healthy, we need to handle this waste effectively. Gasification allows us to do this with positive economic return on investment while polluting much less than other forms of waste management. To find out more on gasification and Aries Clean Energy, please visit our website.